This year we decided to go to Cabo San Lucas, Mexico for a holiday. 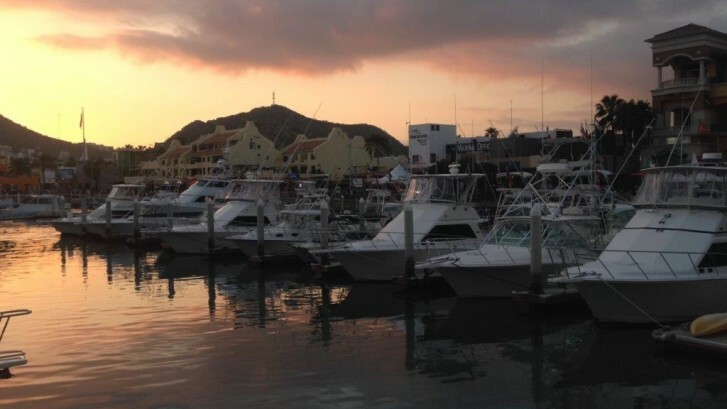 Cabo San Lucas is great if you want to be close to everything. In town, and at the Marina there are tons of restaurants , nightclubs and shops. In town is also Medano Beach which one of the few swimmable beaches in the Cabo San Lucas area. It is easy to get around the area by the local buses, water taxis, or cabs. 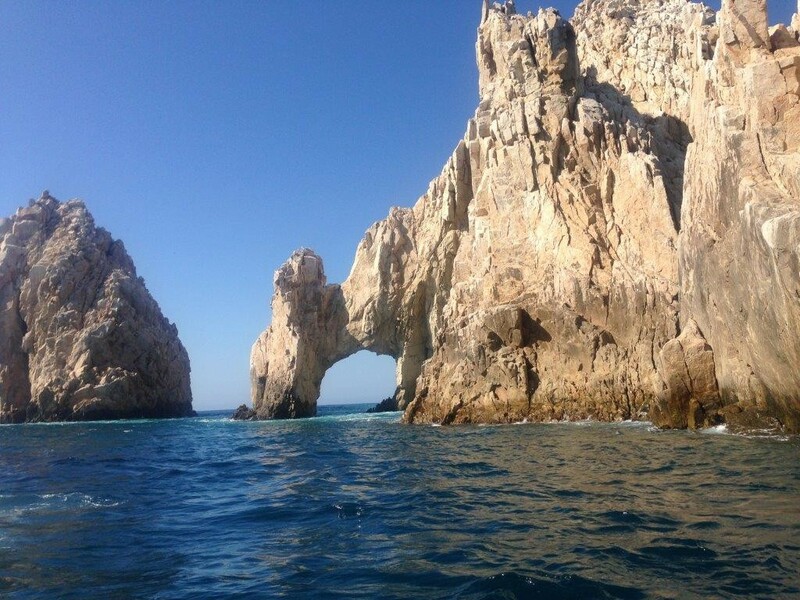 One of the most popular things to do in Cabo is to take a tour to Land’s End, also known as the arch. We decided to take a water taxi right from the marina. It is a short boat ride and they show you area like pelican’s rock, the sea lions, lover’s beach and if course the arch. They will also drop you off at lovers beach and pick you back up later. We also took the local bus to San Jose del Cabo, which is about a 45 minute drive north, and close to the airport. The cost was 37 pesos per person, which is about 3.70 Canadian. The cost by taxi would have been about 48.00 us. 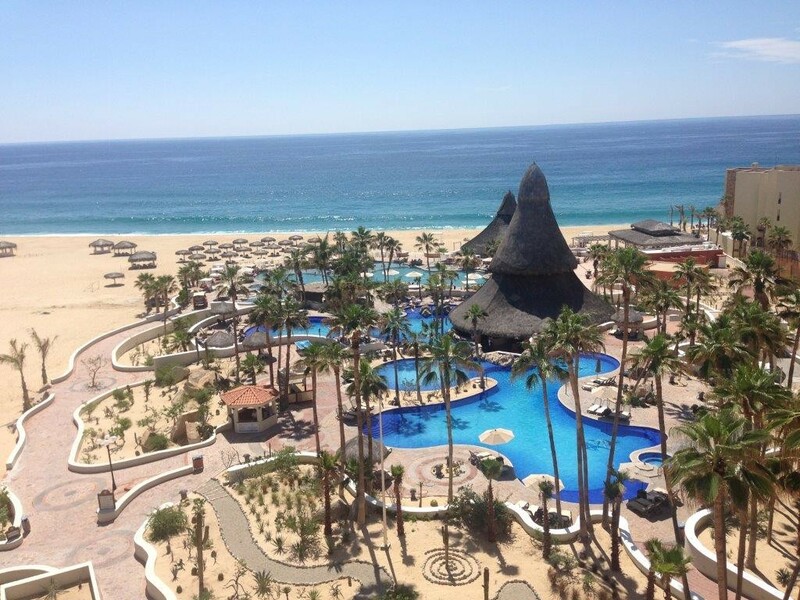 San Jose del Cabo is another area where many of the resorts are situated. It is a beautiful beach area, but again most of the beaches are not swimmable. I really enjoyed my time in Cabo and would definitely come back again. We stayed at the Sandos Finisterra. 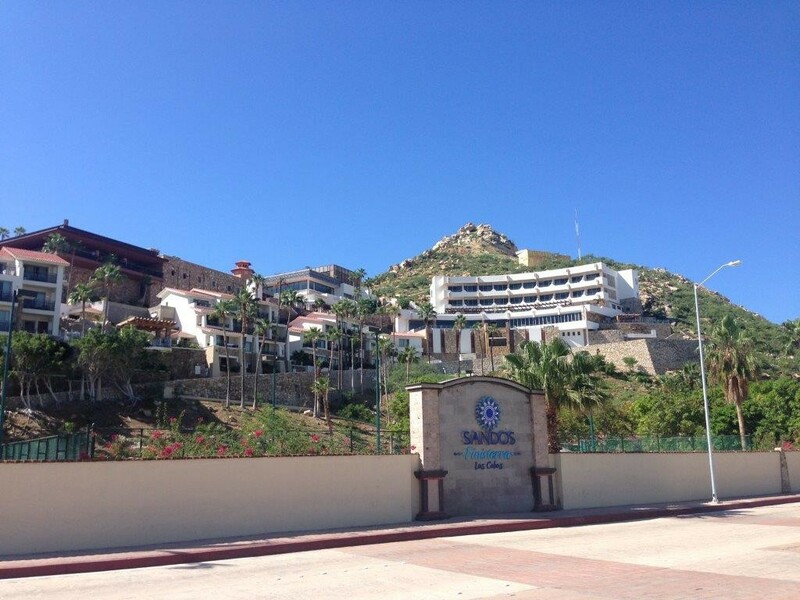 It is a moderate size property situated on the hillside in Cabo San Lucas and is overlooking the Marina. It is on the beach but it is not a swimmable beach. It is only a 5 to 10 minute walk to a safe swimming beach, where many of the locals go, and about a 40 minute walk to Medano beach, which is another popular swimming beach. I love the fact that it is an easy walk to town. The views from this property are fantastic. The service and staff at this resort are the key highlight of this property. I did find that the selection of food was not as good as many of the other resorts I have been to, although you are allowed unlimited dining at the a la carte restaurants, and reservations are not required. The other thing I loved about this property was the cupcake café. It offered specialty teas and coffees, lattes, frappacinos, smoothies, as well as pastries and sandwiches. Also be prepared for stairs to get around, and if you don’t get enough of a workout with the stairs, they have a large modern gym.. Complimentary WiFi is included. There is time share at this resort, but we were not bothered much by them. I would say that this property is geared more to couples and families. We stayed in a Casita type room which overlooked the Marina. The rooms were modern with comfortable beds. There are room types that have not been updated yet, so may be worth looking at selling a higher room category. I had a day pass to visit this property in San Jose del Cabo. It is a moderate size compact property, that is situated in a “U” shape. The rooms were nice in all the room categories, but I liked the junior suite category. The oceanfront category has full front facing views of the ocean, but are actually the farthest rooms from the beach.. Club premium would probably be worth upgrading to if you want Wifi, and having some of the extras it offers. The main pool with the swim up bar is not heated, which is not a problem at this time of year, but in winter season many people have said the pool gets too cold. They are hoping to get a heater in the pool at some point, but not sure when.